S & S Furnace Sales, Inc.
Rogers 4000 #/hr. Cast Link Harden, Quench & Temper Line. 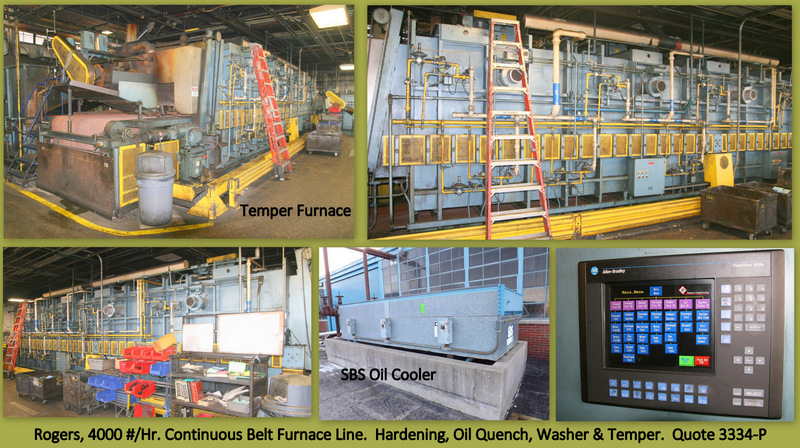 48'' Cast link Belt Furnace, 66'' Oil quench belt, 60'' Mesh belt temper, 5600 CFH Endothermic Gas Generator. All gas fired with SBS oil cooler and Allen Bradley PLC control. 24''w x 36''d x 24''h. 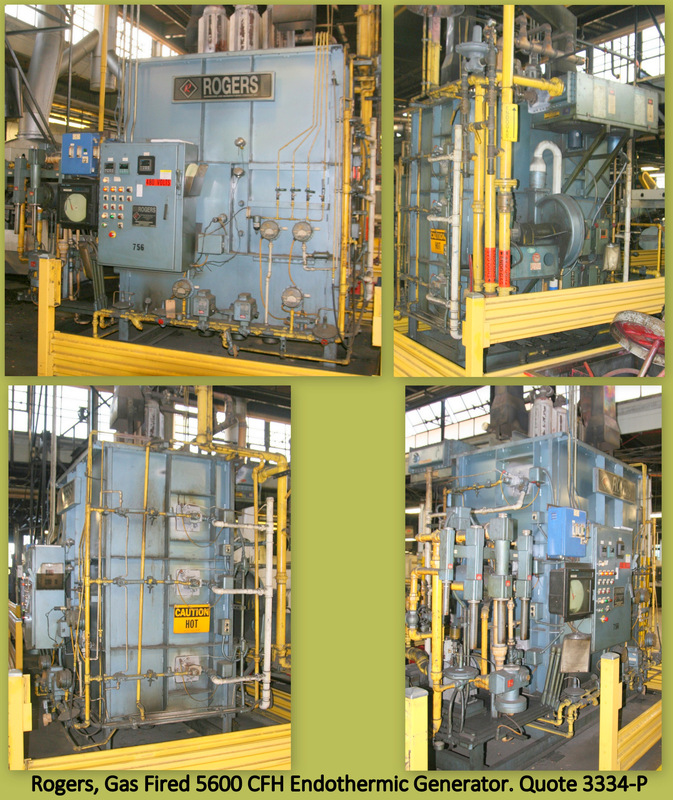 Quench furnace, Temper furnace, Washer, & Transfer car. Electrically heated.